Hollywood came to The Village Parlor twice since we opened in 1969. The first was in 1978 for Harper Valley, PTA, starring Barbara Eden, Nanette Fabray,Ronny Cox, Louis Nye and Susan Swift. The comedy follows a single mother, Stella, living in Harper Valley, Ohio. If you watch the movie, you'll see The Village Parlor as it was almost 40 years ago. 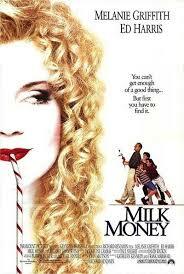 Melanie Griffiths and Ed Harris star in this romantic comedy from 1994. Those who've watch the movie won't miss seeing The Village Parlor throughout the film.